Like all things, the heavy metal world is largely cyclic in nature. The popularity of certain styles rises and recedes over the course of time, with new generations of fans and musicians rediscovering and resurrecting faded sounds. Usually this has a positive impact on the genre - assuming that nu-metal stays buried in the furthest depths of hell - as classic metal styles are either played true-to-form or given a dose of contemporary steroids, satisfying both purists and those looking to hear a new take on old favorites. 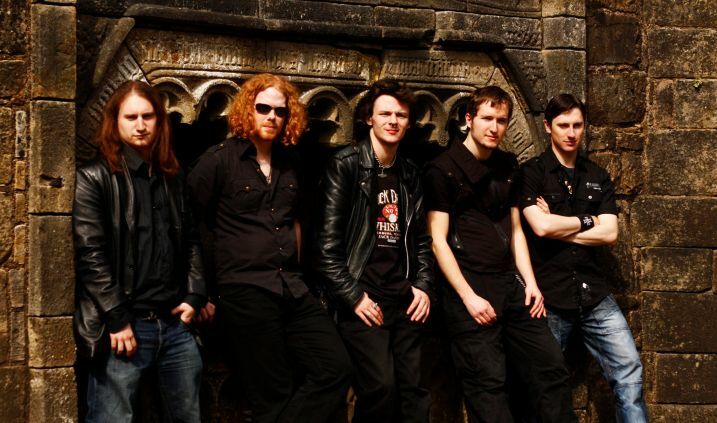 Scotland's Farseer, based in Glasgow, fall in the former group of bands. Their debut EP Chthonic Visions is a fist-pumping journey back to the days when Maiden and Priest dominated heavy metal. As you would expect, Chthonic Visions is built around the fancy fretwork of David Connolly and Jon Stewart. Their twin-guitar acrobatic performance encompasses everything from melodic, galloping riffs to sharp licks and searing solos. "Nightmares Collide", the first song after the richly somber orchestration of the album intro, features those driving riffs that demand heads to bang and fists to pump. The solos here, and on all of the tracks, are crisp and well-executed. Although extensive, the manner in which Connolly and Stewart feed off of each other keeps the soloing rooted within the overall song structure and maintains the songs' smooth flow. "Game of the Gods" stands out not only for the nice melodic chorus riffs, but the fade from an up-beat twin-guitar riffs to a soft, acoustic close. Frontman David Bisset accentuates the classic guitar heroics with a set of pipes primed for NWOBHM success. "Nightmares Collide" opens with Bisset nailing a soaring note right out of the Rob Halford playbook. An ambitious way to introduce his ability, for sure, but Bisset pulls it off and continues to impress throughout Chthonic Visions. Whether melting speakers with his falsetto or boldly dispatching the lyrics in a style that's remarkably similar to that of Bruce Dickinson (eerily similar on "Second Strike"), Bisset captures the essence of a classic metal frontman and does not disappoint. The rhythm section of Farseer (Joe MacGregor on bass and Alan Robinson on the drums) are as large a part of the band's sound as you would expect. Even more so on "Second Strike", where MacGregor's four strings are really involved. And by really involved, I mean really involved. Great bass lines, folks. 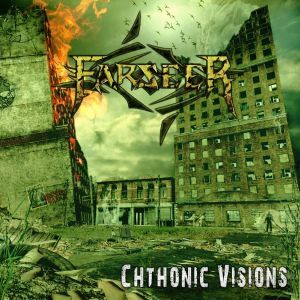 Farseer's Chthonic Visions is a worthy addition to the NWOBHM resurgence and a rock-solid debut effort from a band that already shows considerable talent and skill. The band is already working on a follow-up, so expect more soon from one of Scotland's bands to watch.